The Changemaker Exchange Program enabled Melton Fellows to gain more knowledge about social entrepreneurship through conceptual learning. They volunteered at Elsie’s Cafe, a social enterprise in Northampton that operates a food project with a major goal of food waste reduction, while operating a “Pay As You Feel” business model. The University of Northampton is the first Ashoka Changemaker Campus in the UK. It operates a well-equipped Changemaker Hub with resources that will enable global citizens to develop ideas into reality. The fellows plan to utilize this opportunity to generate and develop ideas and contribute towards solving global problems. Elsie’s Café, a social enterprise in Northampton, England focuses on reducing food waste by utilizing food rescued from grocery stores to make delicious meals which are then offered to customers who have the flexibility to pay as they feel – either by money, services or skills. Elsie’s Café is addressing two major problems through its operation, which includes reduction of food waste and the mitigation of hunger by providing appetizing meals attained from ingredients that would have been wasted. The organization relies solely on volunteers to cook the meals and serve the customers. The fellows were able to help with cooking, serving and cleaning while also learning the business model and social impact of Elsie’s Café. 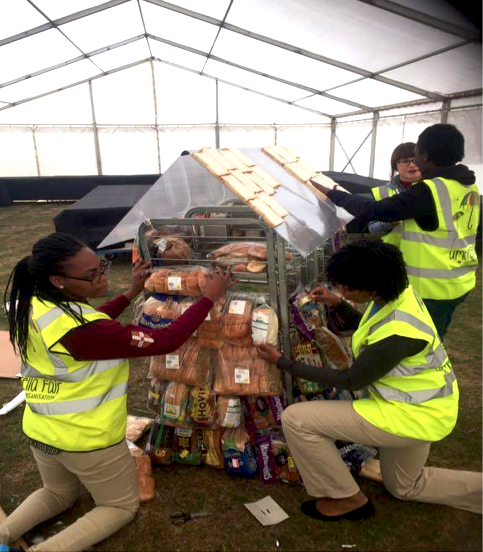 In order to raise awareness about the amount of bread wasted in the UK – over 12 million slices of bread daily – the fellows worked with some other volunteers in building a bread house which was displayed at the 2016 Umbrella Fair, a major sustainability fair in Northampton. 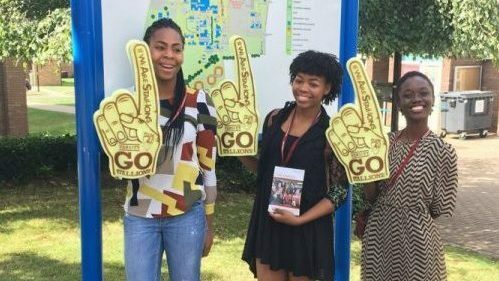 In addition, they presented a Global Citizenship Education session to the students of the National Citizen Service currently enrolled at the University of Northampton in order to introduce them to the Melton Foundation and encourage them to become better global citizens.